The client: heavenly, golden and simply scrumptious. It’s not every day you can say you work for a fabulous client whose product, moments before entering the office, you devoured for breakfast. Oh, and have some packed in your lunchbox. 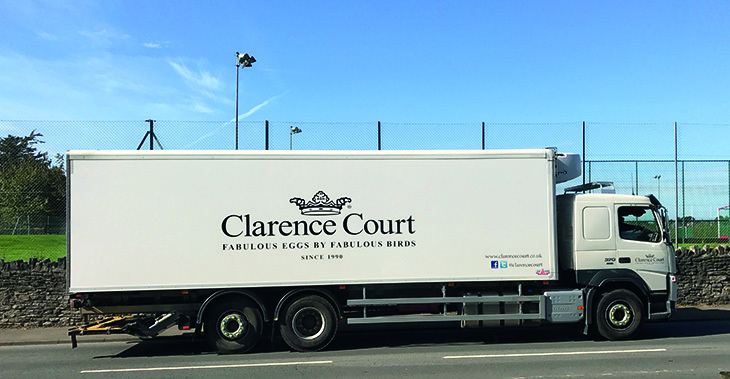 Luckily for us, we have had a glamourous lorry turn up chauffeuring a selection of arguably the best, free-range eggs around – Clarence Court Eggs. Known for their distinctive colouring, deep brown and beautifully pale blue shells, bright golden yolks and being exactly what they say on the box ‘fabulous eggs’, they are the only ones Lolly buys. And ‘Fabulous Eggs by Fabulous Birds’ certainly deserve fabulous social media, right? So, follow us, we’ve cracked it! We are also busily whipping up something dazzling behind the scenes, so keep your eyes peeled. In the meantime, be sure to treat yourself to a box of Clarence Court Eggs, it will be the most delicious decision you make!